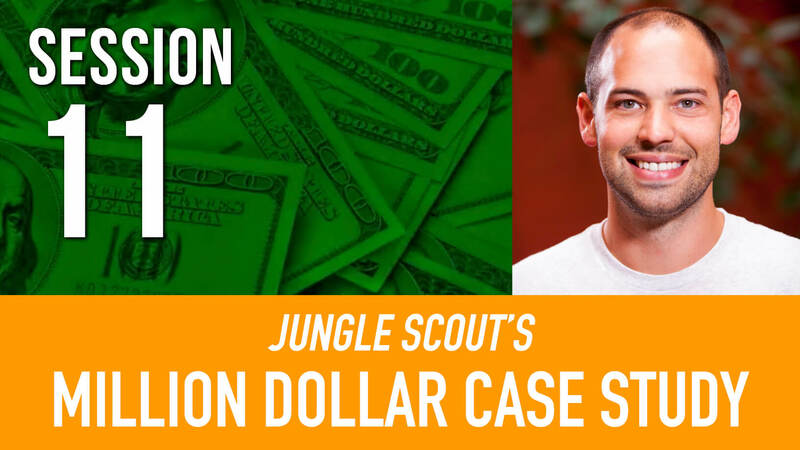 In session 11 of the Million Dollar Case Study, we are talking about setting up our listing and keyword research with Kym Ellis, of the marketing team at Jungle Scout. Kym is a multi-faceted marketer with deep domain expertise in search engine optimization, ecommerce, and copywriting. 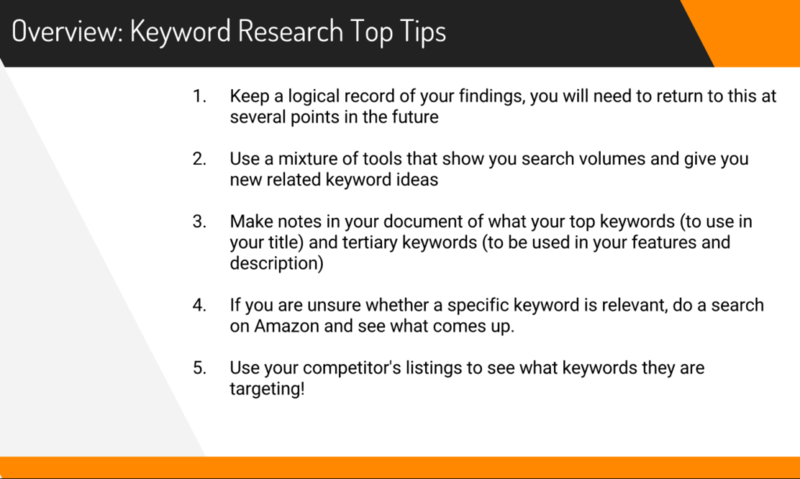 When putting together an Amazon listing and trying to find the best search terms and keywords to target, we want to make sure that we choose the most relevant keywords with the greatest volume. Why is your product listing so important? The session began with a quick overview of your Amazon listing. To state the obvious, you need to create a beautiful, and optimized listing to get more sales and profits. Your product listing is your first and most important opportunity to convince a visitor to you actually purchase your product. Every element, from the keywords that you target, to your copywriting, product images, and graphics, ultimately contribute to the decision of converting a sale or not. If you do not create an optimized listing, you will be leaving money on the table: potentially less organic traffic, lower click through rate (from the search results page to your product page), and lower conversion rate can all conspire together to torpedo your product’s sales. Product Title – The headline of your product, which is the most important factor for helping people find your product via organic search. Product Photography – the images that accompany your product listing. The main image is especially important, as it is the one image that appears in search results. Product Features – These are the bullet points that are at the top of your listing, under the product title. Limited to five bullet points, these are great opportunities to highlight additional features and benefits of your product. As a quick bonus, Greg shared a quick hack to get your most important keywords in your Amazon URL. The benefit here is that once you get your product listing indexed and appearing in the search results of Google, having your main keywords in the URL is an SEO best practice that can help you improve your Google organic ranking. This could lead to more people landing on your page from Google, and ultimately gaining more impressions and sales! That’s some free money, so why not try to scoop it up. How can you try this hack? Add your brand name in the manufacturer and brand name field in the “Vital Info” tab. Save and finish. Don’t add any additional information. 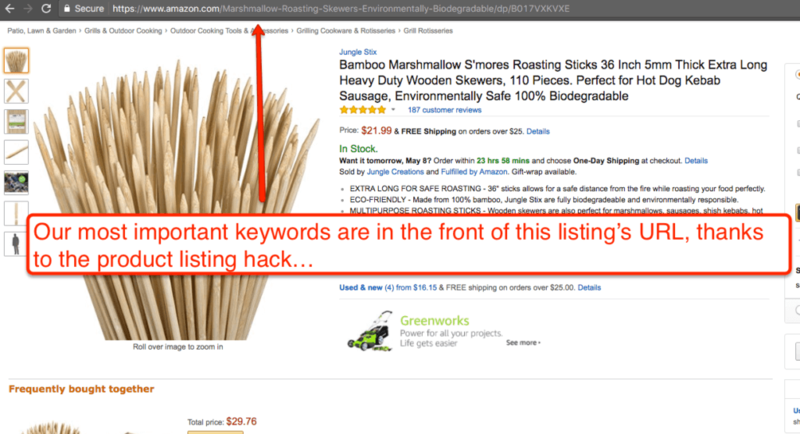 Check back in a few days to see if Amazon saved your listing with the main keywords in the URL. Voila, that’s it. Hope it works for your listing! Keyword research is a fundamental skill in digital marketing, to help you identify the search terms and visitors that you want to target. It will help you identify the key terms that people are searching for to find products like yours. Moreover, doing even a basic analysis of keywords will help you uncover the key terms that your competitors are ranking for, so that you can target those terms as well. How do you identify which search terms will be most important and actually perform your keyword research? In the webinar, Kym mentioned that the Google Keyword Planner is still her go-to tool to get search volume data. Here is an example of some of the data that you can expect to find the best keywords to include in your listing. 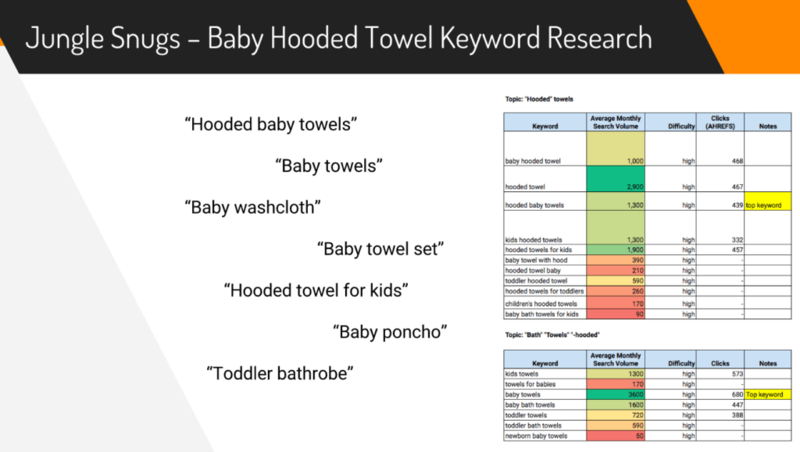 As you can see, for the term “hooded baby towels”, you can get helpful insights like average monthly search volume, monthly trends for searches (a good proxy for determining any seasonality), related keywords, and Google’s assessment of bid competition (this is related to Google’s ad auction, but could be a proxy for overall competition in general). If you aren’t running any Google ads, then rather than giving a specific number for “Avg. monthly searches”, it will show ballpark figures like “1000-2000”. This is still really useful to compare different keywords and see which ones are going to be top priority for you and your product. Additionally, a neat keyword searching tool for Jungle Scout Web App customers: the Niche Hunter. This is available on all Standard and Business plans. Click on any of the keywords that the Niche Hunter provides and immediately see a list of Amazon listings. This is a great place to start your competitor keyword research, to see which keywords competitor listings are targeting in their product titles, descriptions and features. Once you find the keywords, what do you do with them? Kym’s advice here was to use a Word document or a Google Doc to draft out your product title, features and description. The reasons for this are three-fold: it’s an easier way to play around with the copy, it means you can keep a back-up and it also allows you to autosave to make sure you don’t lose your work. The bullet points are the features, you can add up to 5 fields here, and using them all is highly recommended. Using HTML in your description is not advised by Amazon but you can usually get away with it. You do need to ensure that you remove all visible spacing in the Description field, and back up all of your text to each other. You can use <br> to add line breaks and spacing between text on the actual listing page. Tip: Remember that you can tweak your content at any time so don’t worry about getting it perfect if you are ready to launch. This should be a moving feast that you continually improve and tweak as you go. A quick note on Amazon’s Enhanced Brand Content. This is a new way to get images and HTML text formatting into your product description. It is for brand registered products only (Amazon temporarily closed it’s brand registry program in the Spring of 2017, with plans to reopen in early May 2017). The benefit of Enhanced Brand Content is that you can spice up your listing page, with more visuals and graphics. This makes it easier for a potential customer to read through, and you can break up your product page into logical sections with headers. 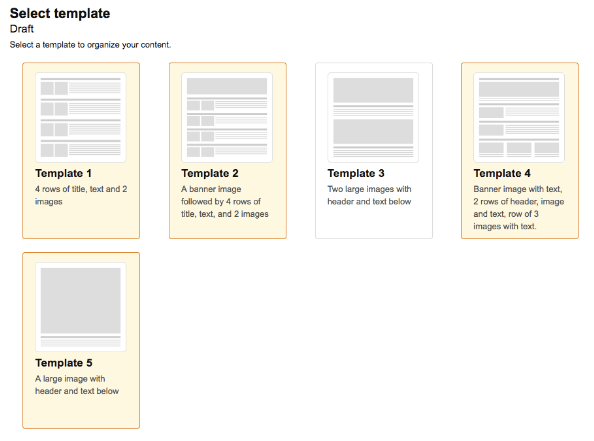 If you are using Enhanced Brand Content, ensure you fill out all of the normal fields in the back-end of Seller Central too. So put your title, features and description in the usual places. 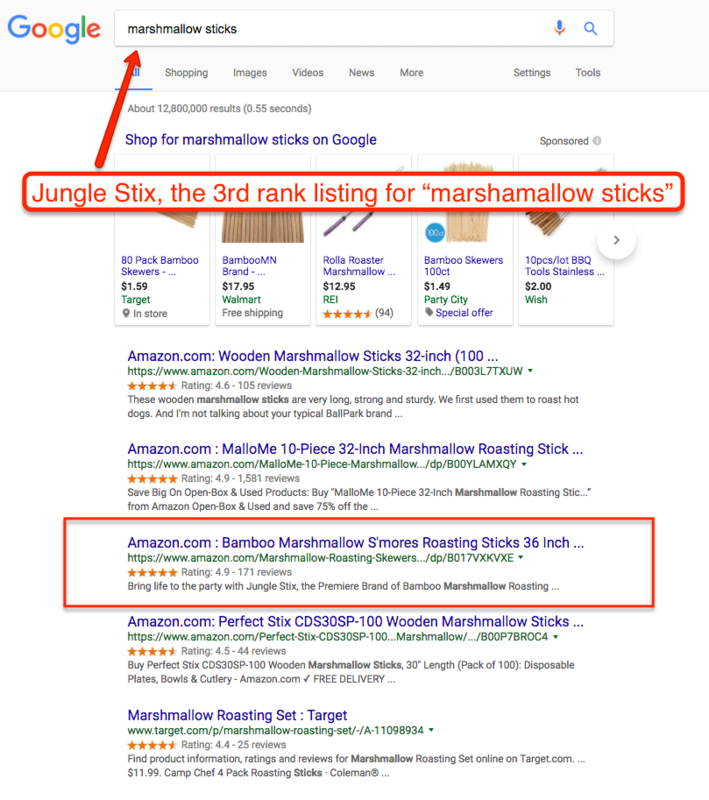 This information won’t show if you have Enhanced Brand Content enabled, but it does feed Amazon and other search engines with your keywords. You could use the same copy in your Enhanced Brand Content and repurpose it for the template that you choose, but just we aware that all EBC content is checked by people at Amazon, so if you break any of the rules you will get some back and forth before you can get your content live. It’s also advisable to get some more photography, infographics and visuals prepared for EBC content, rather than just using the same images in the image carousel on your listing. If you’re enjoying the Million Dollar Case Study and you want to give something back, we would love for you to get involved and support young entrepreneurs through our Scholarships. Get your hands on your own Jungle Scout shirt here! Let’s prepare our product launch! So we now have a comprehensive list of all the keywords that we want to target, we have created our listing, and we are nearly ready to launch our product! But what will be our strategy for launching? This will be very important, as we will want start strong out of the gate and get some initial sales velocity quickly. We covered this in the next installment of the Million Dollar Case Study on May 10th. Make sure you catch up with the replay and recap here. These are tried and tested launch strategies that you can implement for your own launch. I have really enjoyed learning from you all. I was hoping that someone could update the link to Kym’s keyword spreadsheet as the above link in this article no longer works. Thanks in advance! Really awesome videos! I have been reaching this area for 1 year and my sales keep in around $2000 per day, I want a boost! I have watched the first video and the one talk about keyword searching. It gives me many new ideas and tips. Thanks for the recording and sharing. Hi! I was wondering if someone could advise me on how to create a professional work order for images for my listing? I’m thinking to try out a couple of photographers. Not sure what to put in my request. Just sample photos from the internet? Anything else? You might try out some of the product photographers over at JungleMarket.com. That’s part of our network and all of the photographers are pre-vetted. After collecting the keywords, can you please explain the best practice to insert them into the back end search term boxes. The most important place for your keywords is by far the title and bullet points. The boxes are in your product listing page. Just take the extra keywords and place them there. Just remember to put your most important ones in the title, starting with the one you want to rank for the most. so I tried to use Google Keyword Search. So, it is not letting me do this unless I do an AdWords Express Set up and put my payment information in. I do not have an Ad yet I want to run. So, can I not use it then? Since this article, we’ve added our own keyword tool, Keyword Scout. Hi I created listing. You have to click to my image to zoom it. How can I solve this. I want just bring the mouse and auto zoom. The autozoom feature is automatic from Amazon if your image is large enough and it also depends on the browser you use. This series has been great with so much helpful information for a newbie. My supplier is running production, but I need the finished product to start taking photos for my listing. What is the most cost effective way to get one? I figured it would be expensive to have the supplier send one item to me and the remaining to the warehouse. I would need it ahead of time, before the full shipment arrives so I can polish my listing. That’s what I’ve done in the past is have my supplier send me a finished prototype so I can do pictures. It adds to your costs, of course, but it’s worth it to get good photos. Another good trick is just asking your supplier to do your photos for you. A lot of times they have their own in-house photography department, and most know how to take pictures that conform to Amazon’s standards. Thank you for sharing the wonderful knowledge. I have a question that does the parent SKU keyword same with or different from the child SKU? If there are 3 child SKU, shall I fill same keyword or different keyword on the search term? I would use the same core keywords but then tweak each child with any additional keywords that are relevant. 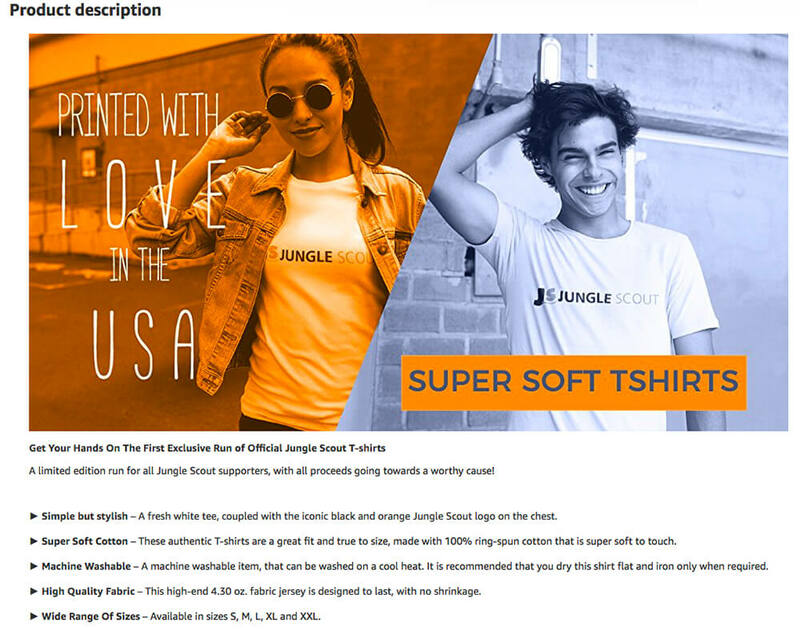 So for example, for Jungle Snugs, we would use the same core keywords in the listing, and then add any that are relevant for each product, including the color or size or what ever it is that differentiates it as a child SKU. Another tactic that you could try, especially if you had a few core keywords you wanted to target, then you could optimize different child SKU’s for a different main keyword. 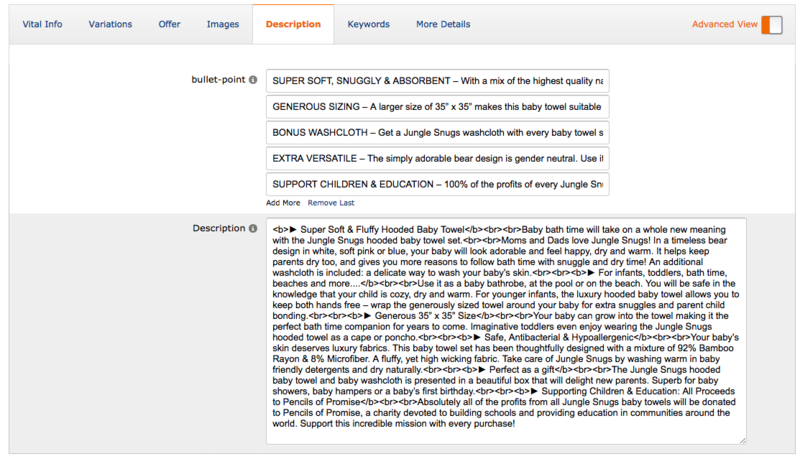 For example, we might optimize Jungle Snugs white for “baby hooded towel” and one of the other child products for “baby towels”. thank you so much for the awesome stuff you are providing here. Hope I can leave you the following question. I discovered quite some interesting product with the extension. It has a huge sales volume, however, when checking via google trends it showed almost no results, which confuses me. Did you guys or anybody else already encounter something similar and knows what the reasons could be? I thought maybe simply people just prefer to directly look at Amazon to search for that specific product? Anyway, would be great to hear your opinion on that. That is an interesting one. It could be that you just haven’t searched for the right keyword in Google Trends to bring up the data, if you haven’t already, try a few different related keywords. If you still struggle to find any data about seasonality in Google Trends, the next step would be to monitor the products over a a longer period of time (you can automate this with the Web App product tracker) to make sure the sales volumes are still there. I watched all webinars that you guys launched the Jungle Stix. They are so awesome. Thank you so much of those precious informations you gave us. Im going to launch my 1st private label product but unlucky I stuck at listing it now. I sell the jacket with 6 different sizes than I use ” Add a product ” and list the sizes in “Variations ” tab.After save and finish the listing, 6 sizes of jacket appear on 6 different detail pages, not in 1 page with multiple choices of sizes like its supposed to be. I refreshed and redid it but nothing changed.I also searched around on internet or Amazon seller center but still couldn’t find the answer yet. Do you know what problem is that and how to fix it? I really appreciate it. What you need to do is set up a “parent” product, which acts as an umbrella for all of the 6 size variations (known as the child products or children) beneath it. Here’s a thorough Amazon help doc to help walk you through it! I haven’t come across anything that would suggest this, I’m just wary of this being the case. I plan on doing something similar on my product listing (comparing our product to the competitors), howevever I wondered if my competitors might report my images/listing if it was in violation? Quick question regarding referencing competitor products in your product photos. There’s two photos currently in the Jungle Snugs product listing, one which has the table comparing your product features to two unidentified competitors, as well as another which has a photo of the competitor towel next to yours. I just wanted to check that this was this was within Amazon’s terms of service, and if there was any guideline as to what can and can’t be included when it comes to referencing competitors products? Great point, and question….I have not come across any Amazon policies that prohibit this, but maybe there is that we have not come across yet. have you seen something that would lead you to believe that this is a policy? Awesome webinars!! keep up with the good thing. There is something (I think new) in the MAZ seller central that I cannot understand very well. I have to say that I don’t have yet the trademark, I’m just starting with the first product to be sell in the US. Any feedback will be greatly appreciated. I don’t think a trademark is required here, it is simply a necessity if you wish to register your brand with the Brand Registry program. I’m sorry, I don’t have a good answer for you about the list of options that you have there, I will take a look though. Thanks for sharing all this knowledge. I would like to ask about your best practice regarding keywords in the back-end of the listing. Do you completely fill the fields? Do you repeat there your main keywords used in the title,etc.? There’s lots of different tactics mentioned by different people. We prefer to put as many relevant keywords in the back-end of seller central as possible, including all of your main keywords that you used in the listing, with no punctuation. You will probably not fill all of the fields entirely but do put as many relevant keywords in there that you can find. There’s no evidence to suggest putting your main keywords in more than once helps, but we do this anyway. You can also add things like common misspellings. fyi the ubbersuggest link is broken. Hi Josh, thanks for the headsup, it is fixed now! 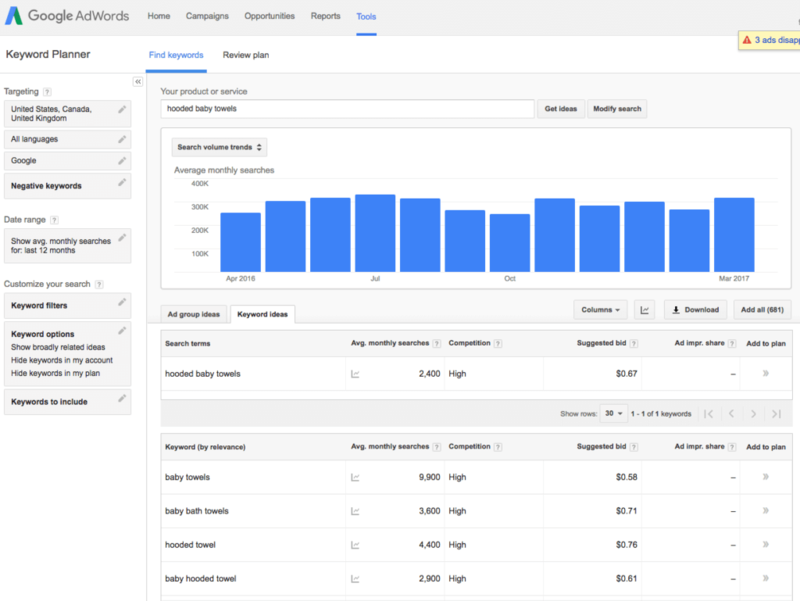 I’ve been having trouble withe Google Keyword Planner. I just opened a google ad account (this might have something to do with it) and started a campaign. However, my search volumes are still showing large volumes like 1K-10K for keyword terms. I called Google Ad Words and they said that I’d have to wait 1-4 months to get clicks on my ad before I would be able to see exact numbers. I talked to a supervisor and he said that this is something no one can change and was an update to the system about a year ago. Anyways, just wanted to see if anyone else out there had a similar problem and way to hack around. Yeah, unfortunately Google has made moves to encrypt data that used to be given away more freely….I don’t know of any workarounds, except of course to spend more on Google Ads, which isn’t the most ideal. There are free tools like those mentioned in the post to help you get rough estimates. Hope this helps! Great post. This one is really very helpful as you have included content, SEO part along with the proper listing part. This post is going to help users a lot. Hey Lisa, glad to hear that you found it helpful! Hi All – I want to thank you again for this Million Dollar Case Study. Your insight, positive attitude and guidance has been remarkable. I’ve been following every Session and plan on launching private label products as well. I’m working on a business plan to find an investor because my goal is to launch 2 products, simultaneously with the extra “bells and whistles” to ensure a successful launch. Jungle Scout’s vision and purpose are remarkable and is a company I’m truly excited to work with. You’re awesome! Thanks so much for sharing your appreciation, so glad you are finding the case study useful. I’ll post that question in the Facebook group later. I am currently in the stage of creating a listing to generate FNSKU for my product. I tried many times keying in the non GS1 UPC to the Product ID field just to get the process going but it couldn’t get through, it kept on showing my Product ID is invalid. Since the Product ID could not pass, the “Save & Continue” button cannot be clicked. I was just stuck there and couldn’t get anything near to a generation of FNSKU. Sorry to hear your issues. It sounds like you are doing things as we’ve done in the past. Either try again after refreshing? Or perhaps if in Seller Central, worth reaching out to seller support? Hope this helps. Thank you for your awesome recommendation but this can’t help much. Refreshing doesn’t help because I tried many times but still stuck. I intended to go round Amazon seller support as I feel they tend to push us for GS1 UPC. 1 thing I need to be sure with you. Is your non GS1 UPC generated from SpeedyBarcodes.com? Correct, we used speedybarcodes.com. Maybe ask someone in the FBA Competitive Edge Facebook group? it is a very helpful group that may have the answer to help you. Good luck! 2. If registered in Brand Central then you do not need a GS1 listing. However, to register in Brand Central you need registered trademark, logo, and image of product with logo. So…. thoroughly confused and not sure how to move forward in generating a bar code. Any direction would be greatly appreciated. Good question, we published an in-depth post on this topic here. 1. This is true and Amazon changed this about a year ago. Many sellers still successfully list a product with a third party GTIN. Like you say, opposing views. There’s an associated risk with using a third party and it’s up to you whether you are willing to take it, or pay for a GS1 GTIN. 2. You definitely do need a registered trademark for the new Brand Registry. Interesting that you were told you don’t need a GS1 listing as well as this – I thought you needed both but I might be wrong. Anyone else got any experience? 3. Good tip – you definitely want to use the ‘create a new product listing’ option for private label!